A good grip and full shock absorption. These functional bike gloves have ergonomic pads on the inside of the hand to absorb shocks; silicone prints guarantee a good grip. 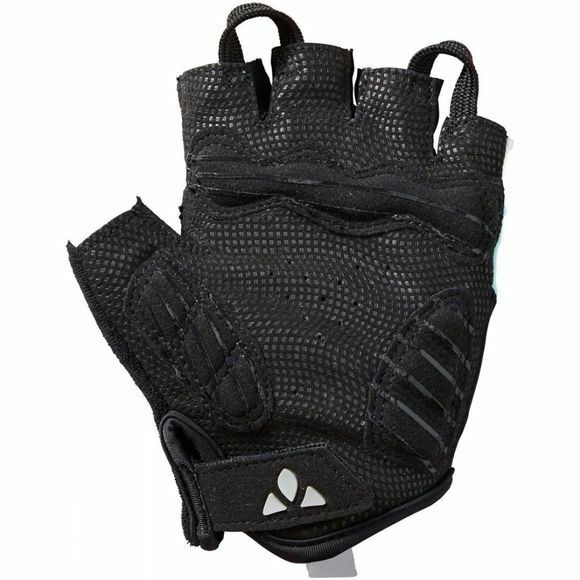 Mesh inserts on the back of the hand provide ventilation on hot summer days. The glove material is made of recycled polyamide, which is obtained in an upcycling process from textile materials, such as used fishing nets. 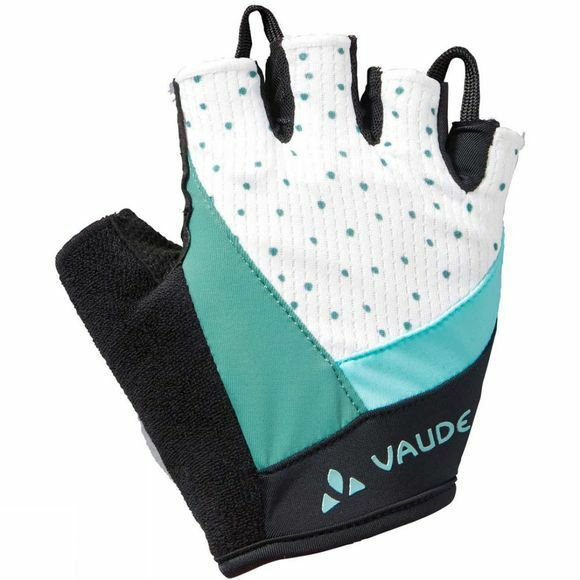 The VAUDE Green Shape label stands for environmentally friendly, functional products made from sustainable materials.